St. Clare Christian Women has been in existence since 1969. We are dedicated to the Blessed Mother and have her for our role model. Every woman of the Parish is a member of our organization and we hope you will join us at our meetings. We honor Christ and Mary, His mother. We strive to further the Christian faith of our Parish. We work to further the family life of our Parish. We provide a helping hand for the needs of our Parish. Our organization gives of itself in many ways such as; purchase bread and wine for the Masses, make our funds available when things are needed in the parish, help out as needed in the parish, serve as an honor guard at our members funerals, serve at funeral dinners, provide food and monetary help to the Norway Food Pantry, serve two "Love Inc." meals a year, serve at St. Ben's. To accomplish all of these things we have several fundraisers. We have our Christmas raffle and bake sale, popcorn sales, and various other social activities through out the year. This year will be our first Irish Ceili just in time for St. Patricks's Day. 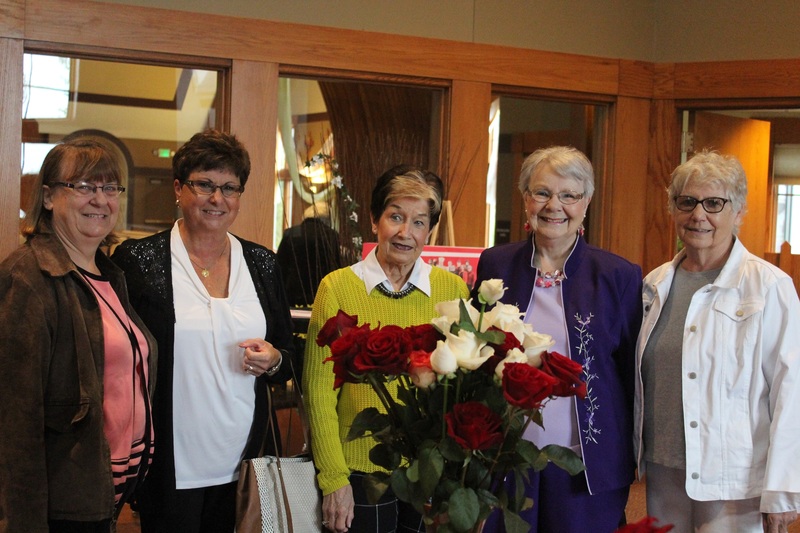 We are a fun loving group of women who enjoy working together to better our parish. We extend an invitation to all women of the parish to join us. For more information please contact Carol Jendrzejek at carol@jendrzejek.com or 414-731-5530.